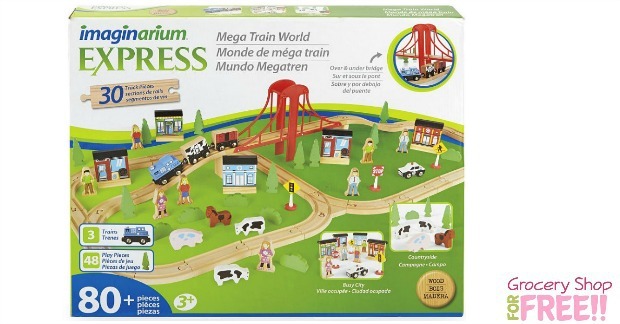 Imaginarium 80+ Piece Mega Train World Set Just $19.99! Was $40! FREE In-Store Pickup! You are here: Home / Great Deals / Black Friday Deals / Imaginarium 80+ Piece Mega Train World Set Just $19.99! Was $40! FREE In-Store Pickup! Here is a great deal on a train set! You can get this Imaginarium 80+ Piece Mega Train World set for just $19.99 right now – down from $39.99! PLUS, FREE in-store pickup! Watch your child create original train track layouts through the country side or the city with the Imaginarium Mega Train Set. The track pieces, which include supports and a bridge, can provide many different imaginative train adventures. 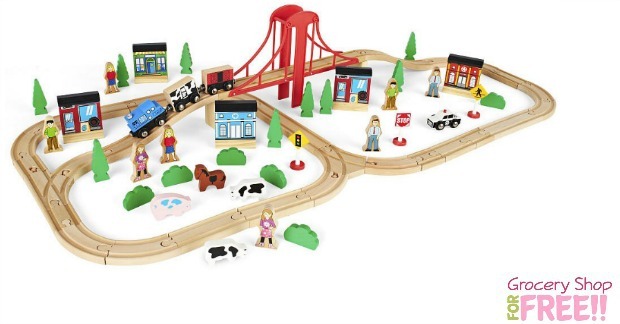 The 48 train accessory pieces, including three trains, a vehicle, buildings and more, enable your child to play with and decorate the track layout for hours of fun.